Our unique collection of rooms offers a suitable space for any event. From private dinners for 20 of your nearest and dearest to cocktail receptions for 240 VIPs; business events, to a family knees up, or just any excuse for a party – why not? We have the room, all you have to do is fill it with your guests. We believe that every event is special and you deserve nothing but the best when you come to The Oakley Court. Decorated with contemporary style, lavished with snug furnishings and waited upon by a team of attentive staff who will tend to your every need – we have gone all out to bring you the ultimate luxury. The Windsor Suite is the largest and most flexible room at The Oakley Court and is perfect for a party! The room can also divide into The Gloucester Suite and The Westminster Suite for a more intimate setting depending on your requirements and numbers. We love business and pleasure – whoever said you couldn’t combine the two in beautiful, tranquil surroundings, it certainly wasn’t us. 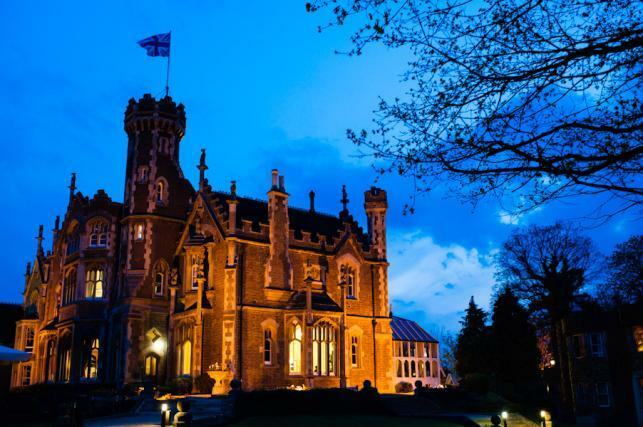 At The Oakley Court, location is everything. Situated 40 minutes from the centre of London, 20 minutes from Heathrow Airport, and surrounded by beautiful scenery and extraordinary heritage, you’ll discover that a secluded hideaway with all the easy transport links really exists. You’ll also find that we’re not just your average country house hotel. Our unique style showcases a character that is both quirky and elegant, and delivered with plenty of luxury and indulgence. Served with good food and excellent service, by our dedicated conference butler and his team of experienced staff, in one of our exclusive hire rooms, we will help you to create the right environment for your next board meeting, team away day, strategy retreat, or client event. Whatever you need, however unusual – we’ll make sure you get it.